Ukrainian side confirmed the presence of SBU (Security Service of Ukraine) on its vessels. All 24 Ukrainian sailors were captured and sentenced to two months of prison. 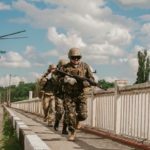 Three Ukrainian sailors were injured and taken care of in Kerch’s hospital. They all are from Gyurza-M vessel Berdyansk. There are no reports of injured or killed soldiers on Russian sides. According to unconfirmed reports, Ukraine boats did not fire back. 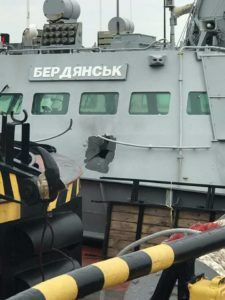 Ukrainian boats were attacked and captured in the international waters, according to the website of Russian Secret Service and Ukrainian Ministry. 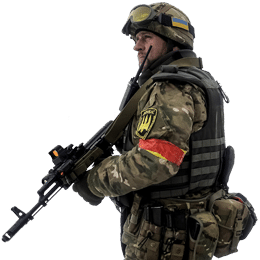 Martial law was declared in the regions bordering Russia, Black Sea, Azov Sea, and Russian-occupied Transnistria. Ukraine asked NATO to deploy its ships to Azov Sea. The only response so far was from Germany and it was negative. Both sides confirmed that Russian helicopter Ka-52 opened fire on Ukrainian vessel Nikopol when it tried to escape the area. Other two vessels were neutralized by vessels of Russian Coast Guards. 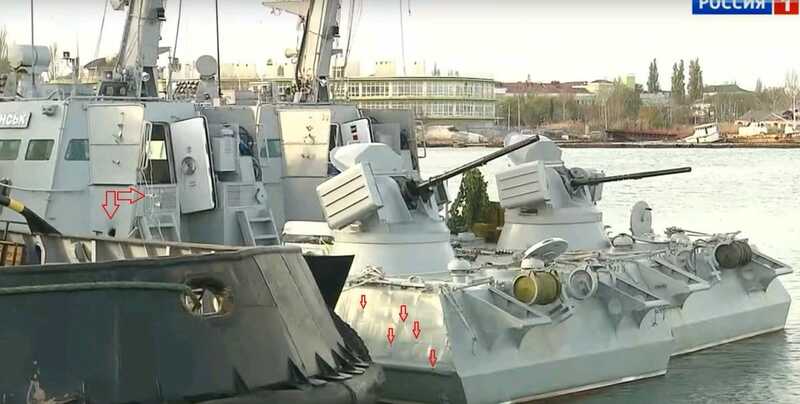 Not three but four Ukrainian ships left the Odesa port. Project 1849, callsign Horlivka, accompanied the vessels until they reached Kerch Strait. At ~04:00, a refueling of both Gyurza-M vessels was carried out and Horlivka turned around back to Odesa. 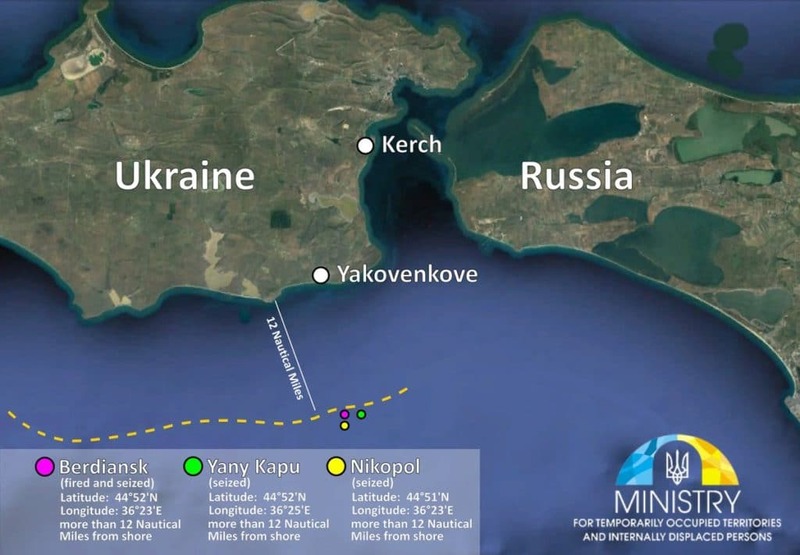 In that time, Ukrainian vessels were already followed by the Russian Coast Guard. There is no report of the lose of Horlivka thus it is safe to assume the vessel reached Odesa according to plan. At 10:35, two Gyurza-M vessels Kremenchuk and Lubny were caught by Russian Coast Guard far north of the Kerch Strait. Both Ukrainian vessels were dispatched from Berdyansk to support the crossing of three Ukrainian ships. They fell back to Berdyansk as soon as they spotted Russian Coast Guard vessels.